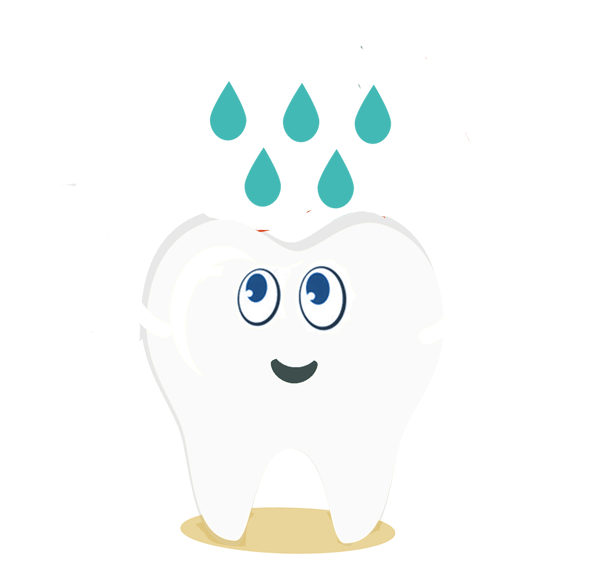 Sealants are barriers that protects tooth enamel from plaque and acids. A plastic material is applied to the chewing surfaces of the back teeth - the premolars and molars. The resin bonds to the depressions and grooves in the back teeth. The back teeth have uneven pits and fissures that are difficult to keep clean because toothbrush bristles cannot reach into them. The pits and fissures hold plaque and food debris. Most tooth decay occurs in these hard to clean grooves. Sealants from a thin covering to keep out plaque and debris and decrease the risk of decay. It takes only a few minutes to seal each tooth. The procedure, which is virtually painless, rarely involves drilling or anesthesia. The teeth are cleaned and chewing surfaces are conditioned to help the sealant adhere to the tooth. The sealant is ” painted onto the chewing surface, whre it flows into the pits and fissures, bonds to the tooth and hardens. A special curing light may be used to help the sealant harden. As long as the resin remains intact the chewing surface is protected from decay. Sealants hold up well under the force of normal chewing. They usually last several years before reapplication is needed. The dentist checks the conditions of the sealants during a checkup. Can sealants protect against all decay? Sealants protect the chewing surfaces. Good oral hygiene at home and regular dental checkups and professional teeth cleaning are important to prevent tooth decay in between the teeth spots that sealants cannot cover. To prevent cavities from forming between teeth ( called interproximal decay ), floss or use an interdental cleaner once a day and brush twice a day. Look for products that displays the ADA seal of Acceptance, your assurance that the product has met the ADA’s criteria for safety and effectiveness. Children and teenagers are primary candidates for sealants because the likelihood of developing decay begins as soon as the back teeth appear. Adults can benefit from sealants too. Prevention is always better that treatment. Sealants are extremely effective in preventing tooth decay on the back teeth and can save patients money in the long run. Teeth are covered with plaque, a sticky film of bacteria. The bacteria convert sugar into harmful acids that attack tooth enamel. Repeated attacks may cause the enamel to break down, resulting in cavities.